After the success of May’s first Lite and Extra boxes, we went all out to secure some of the best American candy (and other snacks) for our subscribers. 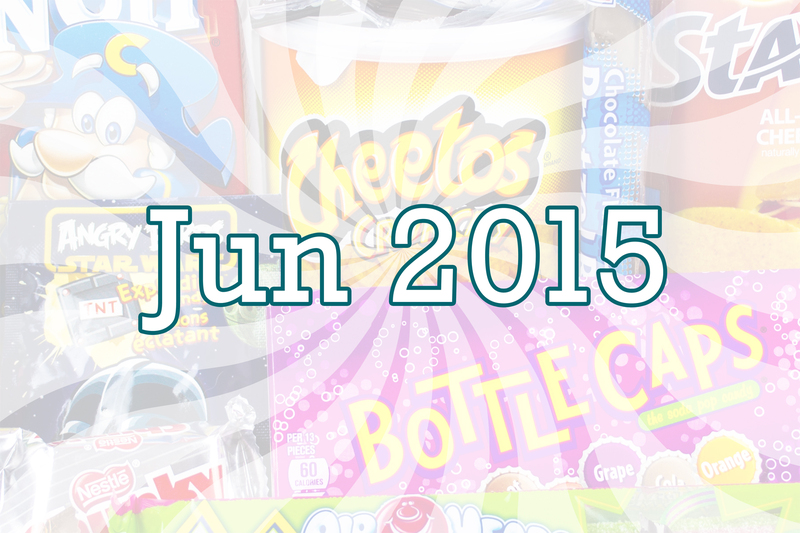 The Extra box this month featured whole tubes of Cheetos and Stax, plus a box of cereal. Each of Taffy Mail’s June boxes also featured the Sky Bar from Necco – a curious chocolate bar featuring a different filling in each segment. An unusual candy bar with no equivalent in the UK – we couldn’t wait to show our subscribers that one! Does any of these sweets have gelatine inside of it? Hey Asmaa, a few American candies do. We advise against subscribing if you have special dietary needs.